In the course of the celebrations at the opening of the new Leica complex in the Leitz Park in Wetzlar, WestLicht, the world’s leading auction house for vintage cameras, will be holding a unique auction in collaboration with Leica Camera AG. 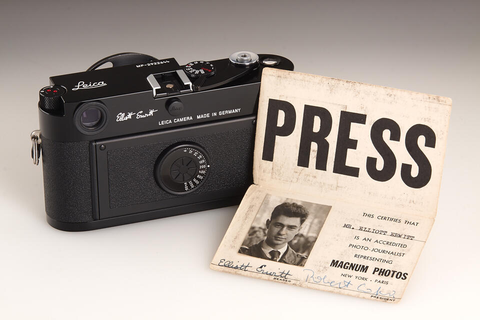 Guests will be invited to bid on 100 rare treasures from all epochs of technical progress at Leica and 100 highlights from the world of Leica photography at the auction on 23 May 2014. 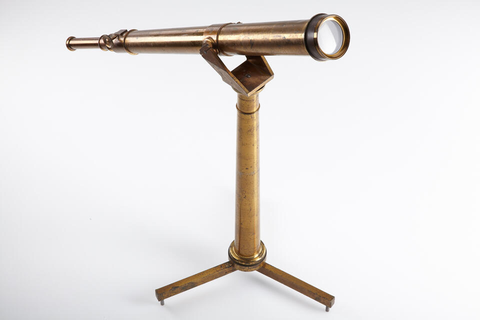 The collection begins with an extremely rare telescope constructed by Carl Kellner in 1852 and continues through the ages to modern rarities that embrace the entire history of Leitz and Leica: a Leica I Mod. A with Anastigmat lens (the first commercially produced model), the original Luxus Leica, a Leica 250 with an electric motor drive, the New York RIFLE camera, a prototype of the Leica M3, a black Leica MP and cameras formerly used by famous Magnum photographers (Henri Cartier-Bresson, Rene Burri, Abbas, Bruno Barbey, Elliott Erwitt) are followed by 100 lots of photographs with Leica connections. 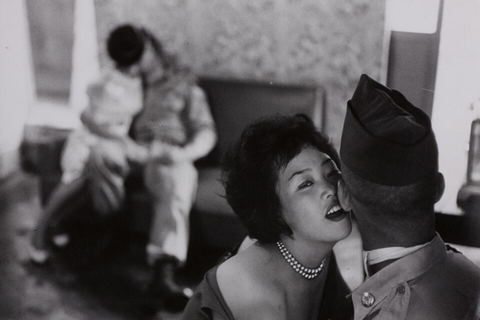 Amongst these are original prints from the legacy of Oskar Barnack and extremely rare vintage prints from the most famous Leica photographers. 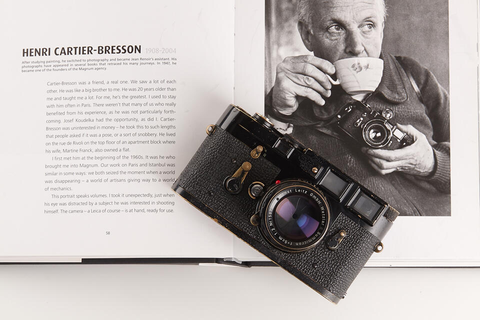 A ‘100 years of Leica’ auction catalogue published for the event offers over 450 pages of exciting and fascinating surprises, historical details and inside information and lets readers immerse themselves in the development and history of the Leica brand. The catalogue will also be published as a special edition limited to only 100 copies. Various experts helped and gave their expertise and it was curated by Lars Netopil for the technical part and Hans-Michael Koetzle for the photographs. Please register to attend the auction here: 100years-auction@westlicht.com. 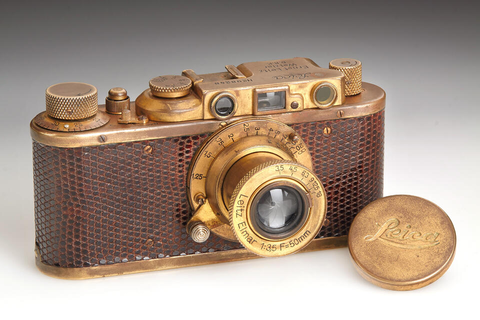 Over the past 12 years, the WestLicht auction house in Vienna has established itself as a constant of the international scene and has auctioned an outstanding selection of milestones and icons from the history of cameras and photography, including the world’s first ever commercially manufactured camera, the Giroux Daguerréotype from 1839. WestLicht has also recorded a multitude of spectacular record prices for Leica products. For further information, please visit www.westlicht-auction.com.